Topping up your prepaid mobile airtime can be a hassle, especially when on the go with limited access to physical cash and/or retailers. However, as a PayPal user, you can recharge your mobile phone easily at no additional fees directly through your PayPal Account. 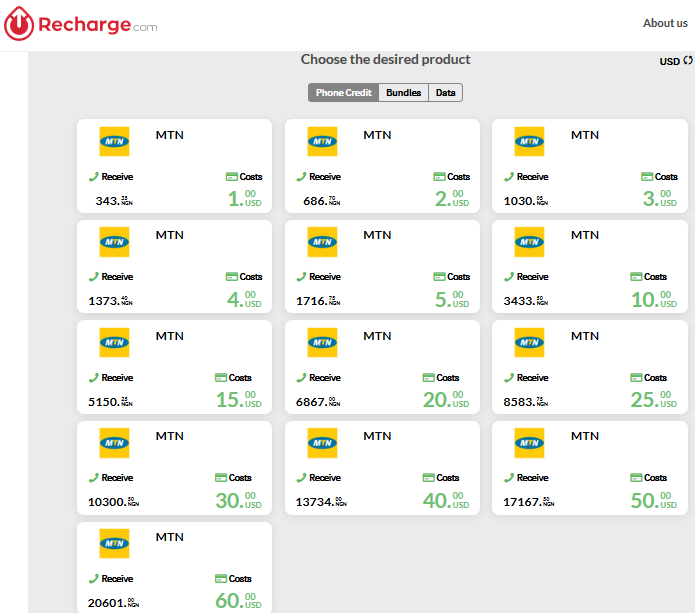 Although there are many websites in Nigeria that allow residents to buy recharge cards online and pay with their bank debit cards, I think this will serve as an alternative platform to also send airtime credit to anyone in almost any country in the world. As an active member of this blog, I assumed you have got a reliable PayPal account that can send and received payment. With your South Africa PayPal Account, you are good to go with your Nigeria IP address, you can send and receive money from anywhere in the world, you are free to purchase anything online. With your South Africa PayPal account, you have nothing to fear. I'm glad to inform you that you can now transfer your South Africa PayPal funds to other South Africa PayPal users.The restriction has lifted. In case you don’t own a South Africa PayPal Account, Get one here. I have articulated a couple of merchants that are tested and trusted for you to purchase airtime for any mobile phone in the world and make payments with Paypal Account. Nigerian networks are not excluded with support for the four major networks (MTN, Etisalat, Glo and Airtel). Recharging your prepaid mobile phone airtime using PayPal Dollar is a very simple and straightforward process once you identify a reputable online merchant. Mostly all you have to do is to choose your country, enter a phone number, select your network operator (MTN, Etisalat, Glo or Airtel), select amount and make the payment. The required amount will be deducted from your PayPal Balance and your mobile number will receive the Airtime Voucher. 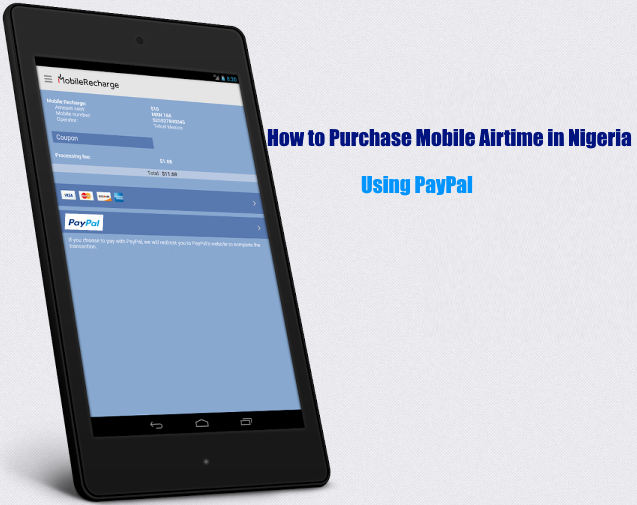 Below is a list of online mobile airtime retail merchants accepting PayPal. These online retailers offer a global service and are available from any part of the world once you can access the internet. Select PayPal as a payment option and enter the billing address. Log in to your PayPal account to make the payment and your airtime will be sent to you once the payment is successful.Recharge.com has a service fee of $0.99 for every transaction. When I switched to the British pound, the charge was also £0.99. 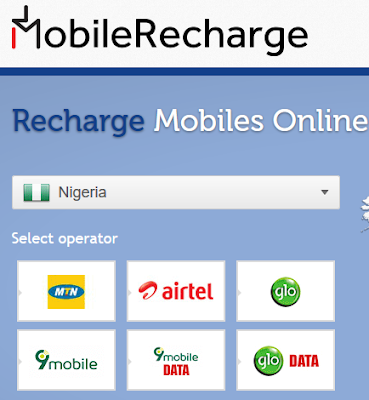 Support the 4 major networks in Nigeria (MTN, Etisalat, GLO and Airtel). 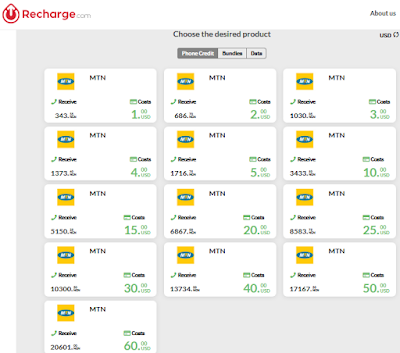 Select your preferred network and click on "Recharge Now"
Being the first time, choose New Customer and fill the necessary detail to sign up. Proceed with the payment and your airtime will send to the stated mobile number within few seconds. 4. Overseastopup: offers a unique and professional service that allows sending airtime to over 400 prepaid mobile phone networks all over the world. Like the others in the abroad category, there is the option of sending to many countries including Nigeria. Simply select the country, enter a mobile number, choose the amount and pay. 5. Ezetop: The website was established in Ireland in 2006. It enables people living abroad to send mobile phone top up instantly to family and friends back home in over 130 countries across the world. Top up services are available through www.ezetop.com. If you have any queries, you can drop a comment below and if you find this article informative, do share with your friends.